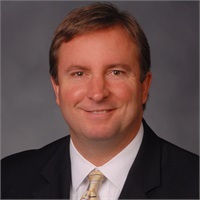 David R. Travis | Financial Council, Inc.
Dave is a graduate of Towson University with degrees in business administration and accounting and is a CERTIFIED FINANCIAL PLANNER™ Practitioner. Dave started and ran his own financial planning firm for five years before joining FCI in 2002. He has instructed other financial planners who are studying for the CFP® designation by teaching estate planning and investment courses at the University of Baltimore, and he is a frequent speaker for the faculty and staff of Johns Hopkins University and LifeBridge Health. He holds the FINRA Series 7, 63, and 65 securities registrations as a Registered Representative and Investment Adviser Representative of Commonwealth Financial Network®, Member FINRA and a Registered Investment Adviser. Dave was a long-time resident of Harford County, but now resides in Baltimore County. He enjoys spending his free time at Broad Creek and Ocean City, Maryland. He is especially proud of his youth basketball team, which he coached to a championship, and his 15U baseball team, which competes in the spring.